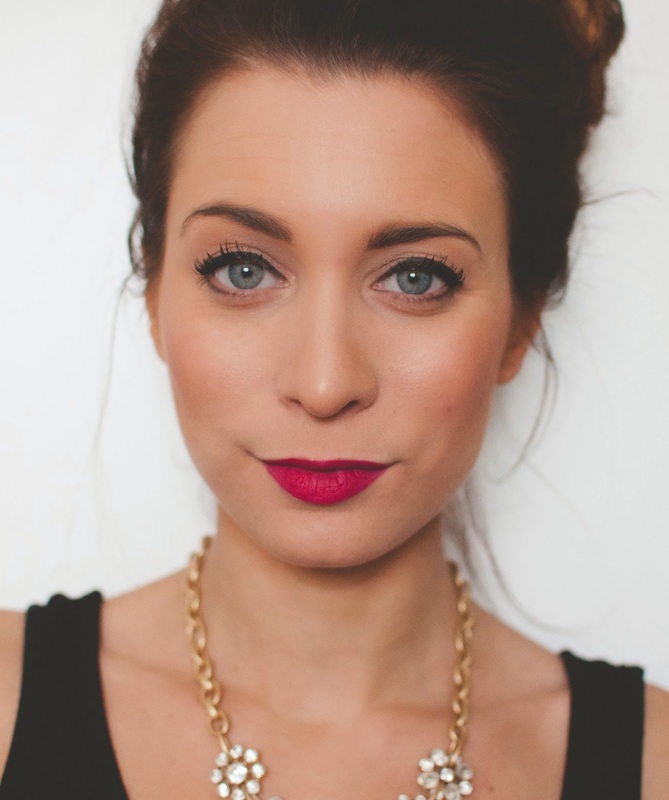 The Perfect Bold Lip - Featuring MAC's lip primer | La Petite Noob | A Toronto-Based Fashion and Lifestyle Blog. Exfoliating your lips is the only way to remove any traces of dry skin, creating a smooth and clean canvas for any product to adhere to; this will make your bold lip last longer, as well as make your lips appear softer and slightly fuller (this is especially important for those of us with small lips.) I like to use the Lush lip scrub in Bubblegum; it really exfoliates and moisturises like no home-make lip scrub can, and a little goes a long way so the pot will last you a long time. Contrary to what the brand recommends, I do wipe off the excess with a tissue rather than licking it off - it is deliciously sweet, but it is mixed with the dead skin that you're trying to remove. Just some food for thought. This is such an important step that is so often overlooked. Using a lip primer not only guarantees your lip colour lasting, it also prevents any feathering of the colour and makes applying your lip liner so much easier. I have tried a few lip primers, but none have preformed as well as the MAC Cosmetics Prep + Prime Lip Primer. **Tip - let the primer sit on your lips for about 10 minutes, or until it gets slightly tacky, before applying any product - it first applies much like a lip balm, and any subsequent lip colour you apply with slip off. Line your lips with your favourite lip liner starting from the outer edges of your lips, working your way inwards. I like to fill the entire surface of my lip in with the liner to avoid the dreaded ring around your mouth when the lip colour eventually fades. My favourite lip liner has got to be MAC Cosmetic's Beet lip liner. The colour is so versatile - it can be worn under a dark, moody lip colour to brighten it up or underneath your brightest pink to tone the colour down. 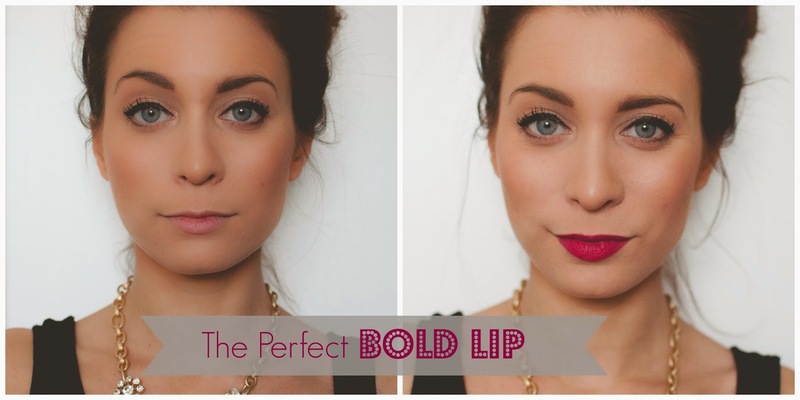 The most important step - applying your bold lip colour. 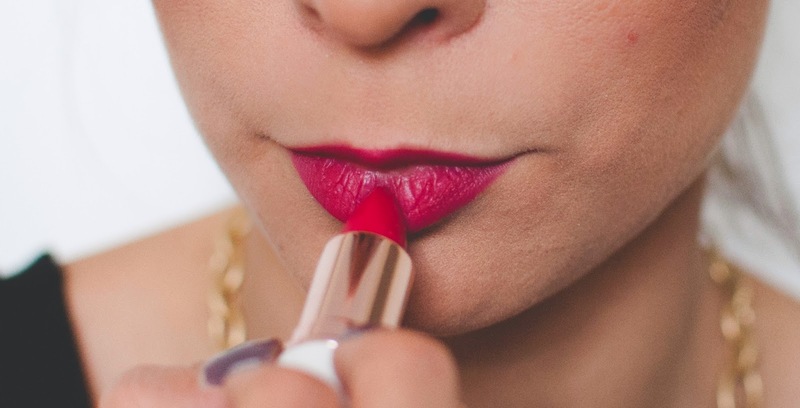 I always opt for a matte lipstick, since they definitely have the most longevity and are less likely to migrate all over your face (nobody wants to spend an entire evening looking like The Joker from Batman). To me, a matte lipstick equals greater piece of mind and actually helps to make my lips appear fuller. The primer we've already applied will combat any dryness from the matte lipstick. My current favourite is another from MAC Cosmetics, a lippie from the Rhianna collaboration called 'Pleasurebomb', but any matte fuchsia colour will do. The last step is to blot lightly with a tissue and go! 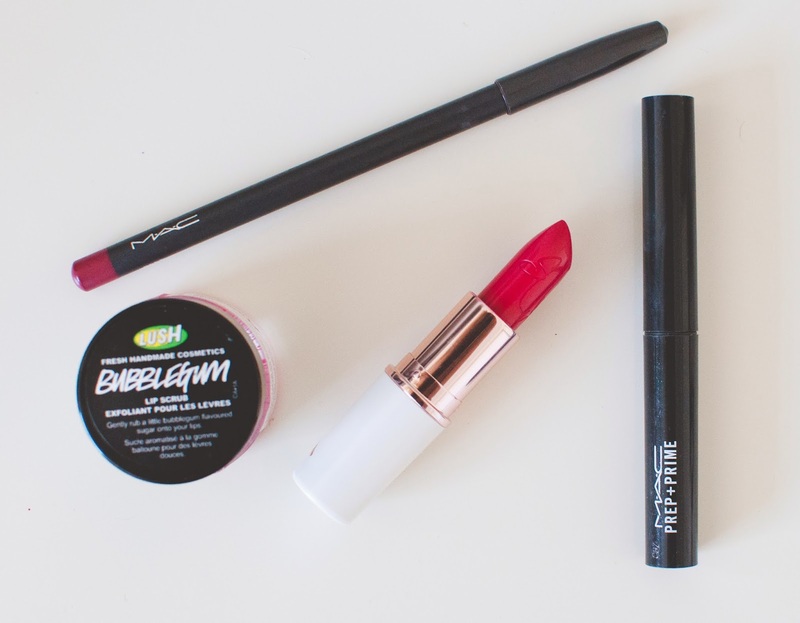 5 simple steps to a bold lip, guaranteeing it will last you well into your evening plans. Have fun trying out different lip liner/ lip combos, and let me know your favourite one. This is perfect - I'm seriously terrified of bold lip color because I always eff up on the application of it. I seriously need a step by step so badly, so thank you, love! Thank you, this step-by-step is a result of trial and [lots of] error on my part - haha! Let me know how it goes!